The information presented on this page was originally released on August 28, 2015. It may not be outdated, but please search our site for more current information. If you plan to quote or reference this information in a publication, please check with the Extension specialist or author before proceeding. STONEVILLE, Miss. 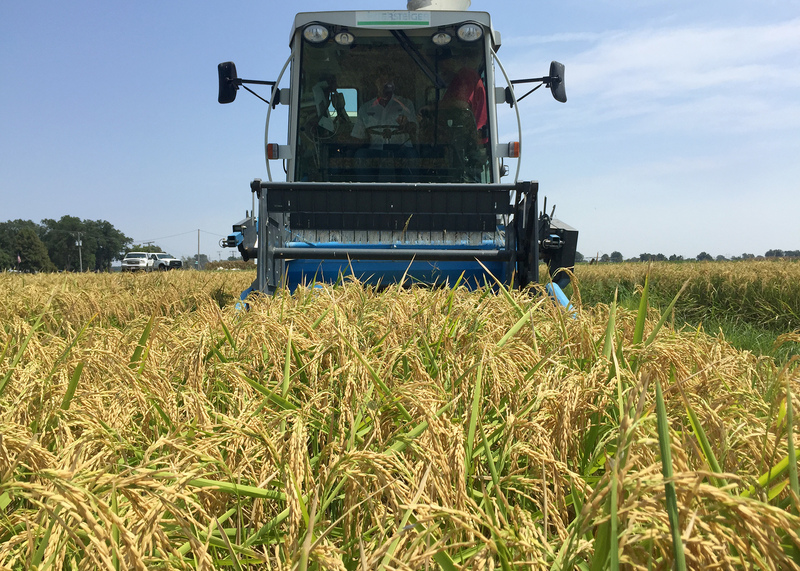 -- Rice harvest has begun in Mississippi, but only time will tell how many acres were actually planted and how good yields will be. The U.S. Department of Agriculture reported on Aug. 23 that rice was 10 percent harvested. Good weather has continued to hold since then, allowing rice harvest to move quickly. USDA has estimated 80 percent of the crop is in good or excellent condition. 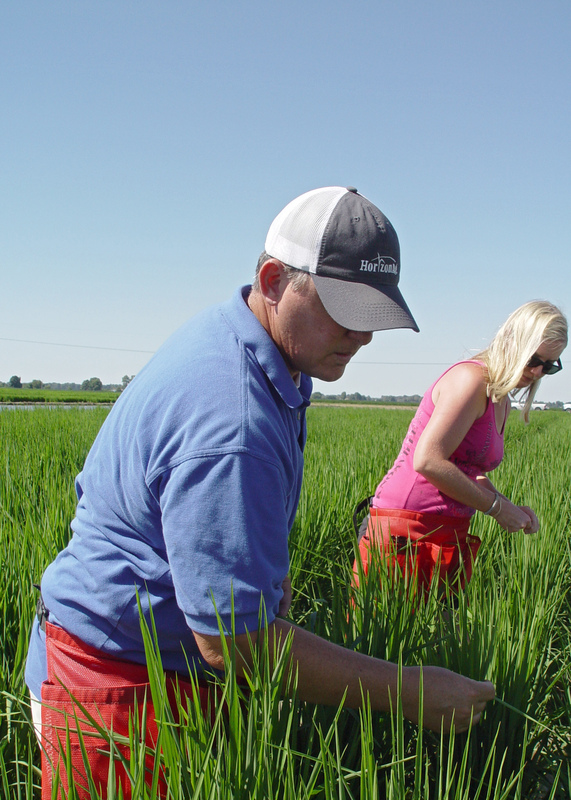 The number of rice acres headed to harvest is unclear. USDA reports there are 175,000 acres of rice, but the Farm Service Agency has certified 142,000 acres. Golden estimated there are at least 160,000 acres. The crop had to overcome two challenges to get to harvest: early wet weather and high heat at key reproductive stages. “Early in the season, we had a lot of wet, rainy weather that may have slowed things down,” Golden said. “There were some specific pockets in the north Delta that were really wet, and this delayed the crop both in planting and in stand establishment early in the season. Rice had lighter pressure from disease this year compared with 2014, and stink bugs have been the biggest insect problem. “We had stink bug problems early, and with our rice crop later than usual, as we harvest grain sorghum, stinkbugs will migrate over to rice again in those very late-planted fields,” Golden said. “Disease problems were a lot milder than last year. You’re always going to have occurrences of sheath blight, rice blast and stem rot, but for the most part, the incidents were isolated in 2015. “There have been a few fields where leaf blast has progressed to neck blast, resulting in a considerable hit to yield,” he said. At this point in the season, tropical storm threats are the biggest concern rice growers have as their crops finish. “Significant wind or rain events could lodge rice and would influence harvest efficiency,” Golden said.  Brian Williams, agricultural economist with the MSU Extension Service, said rice prices have been trending up since early summer from under $10 per hundredweight to $11.65 per hundredweight on Aug. 21. These prices are still below the $13 per hundredweight paid during the last week of August 2014.